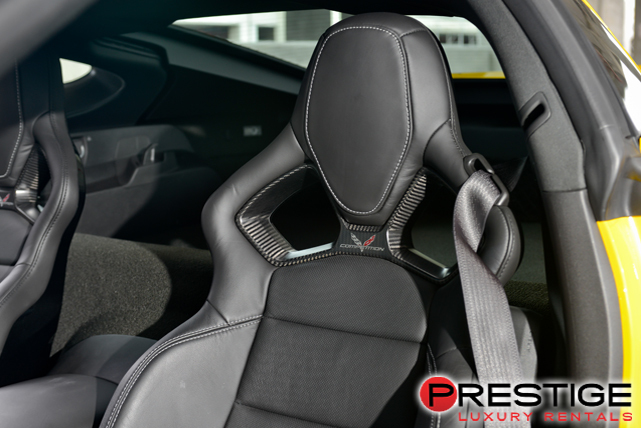 If you are looking for most of the benefits of driving in a convertible, but want frame stability and noise reduction like a coupe, a Chevrolet Corvette Stingray T-Top rental from Exotic Car Rental Atlanta can offer the happy compromise between a soft top convertible and a coupe. A 460 horsepower V8 engine powers this classy little roadster from 0 to 60 in a sports car quality 3.8 seconds, which will let you race down windy Georgian highways, with the wind in your hair and the sun on your neck, but without the rushing roar and frame shake associated with most convertibles. And this is just the start of the comfortable ride you will get from your t-top rental. The eight way adjustable power leather seats and high powered BOSE surround sound system will let your relax to your favorite tunes while watching highway practically disappear under your wheels. It is a car that offers a suite of features designed for enjoying driving, whether you are staying in the city of Atlanta, or exploring the outskirts of Marietta or Buckhead. 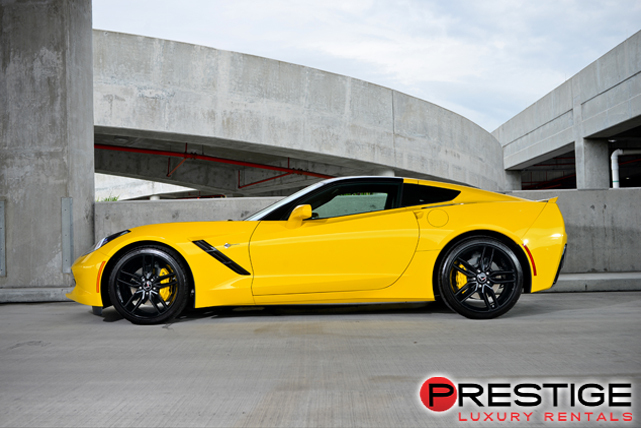 As nice as it is to cruise down Georgian highways with the t-tops off, your Chevrolet Corvette Stingray T-Top from Exotic Car Rental Atlanta is best when exploring cities. City driving gives you better opportunity to pull over and replace the t-tops in the case of inclement weather and the rear camera on the Chevrolet Corvette Stingray T-Top is the perfect tool for paralleling parking this beauty without difficulty. Your rental vehicle from Exotic Car Rental Atlanta is the perfect conveyance for enjoying a weekend in Georgia. Maybe you want to catch a Braves game at Turner stadium or maybe you work at Dobbins Air Reserve Base in Marietta and have weekend leave. Whatever your reason for renting a luxury sports car, this sleek beauty will get you where you want to go and make the trip there and back lots of fun. If you don’t have a lot of luggage, a Stingray is an ideal car for a weekend getaway in Georgia.